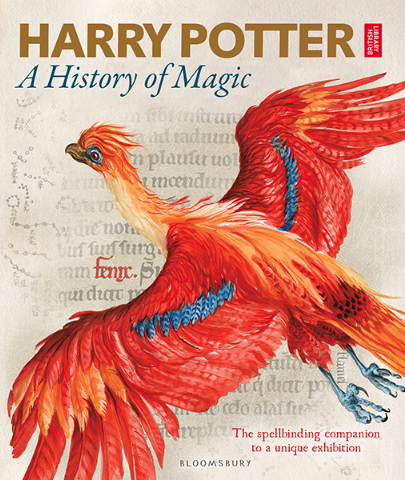 Today I visited the British Library’s major exhibition Harry Potter: A History of Magic. I am not a Harry Potter fan, and this exhibition particularly interested me because I am a historian of magic rather than because I enjoy the work of J. K. Rowling. Having said that, it is impossible not to admire the internal consistency of Rowling’s fictional world of magic and the immense depth of knowledge that went into creating it. I suspect this is a large part of the appeal of the Harry Potter books to many people, because Rowling mixes just enough historical information about magic to sustain the interest of the intellectually curious reader, making her magical world much more compelling than the often lazily conceptualised fictional magic of ‘sword and sorcery’ high fantasy. Magic as fiction is an important component of our culture; but magic is also a real historical phenomenon that is part of our culture as well. I do not, of course, mean that magic really works; but people really believed it worked and really believed they were capable of doing it – which, in cultural terms, makes magic about as real as something can get. Magic was a force of immense psychological power that dominated our ancestors’ lives and still dominates the lives of many people today. The British Library’s Harry Potter: A History of Magic is a very ambitious exhibition because it seeks to bridge the gap between magic as fiction and magic as lived reality, combining material relating to the creation of the Harry Potter books with books, manuscripts and objects associated with the actual practice of magic. However, J. K. Rowling’s world of fictional magic provides the conceptual framework for the exhibition as a whole, which is less an exhibition about the history of magic than it is about the history of magic as taught at Hogwarts. In this sense, it differs from another recent exhibition on the history of magic, the John Rylands Library’s 2016 exhibition Magic, Witchcraft and Devils in the Early Modern World. Those who have criticised the British Library for ‘using’ Harry Potter to sell its exhibition have misunderstood that the exhibition is, first and foremost, about the creative process behind the Harry Potter books themselves. Indeed, even the objects that are not Rowling-related are arguably part of that creative process because they provided Rowling with inspiration for her internally consistent magical world. The exhibition is about our relationship with magic in both fiction and reality. The definition of magic itself is highly contested among scholars, but there is rather more agreement about the different kinds of magic practised in medieval and early modern Europe. Broadly speaking, most varieties of magic can be classified as natural magic (magic making use of the ‘hidden’ or occult properties of natural things) or ritual magic (magic involving the evocation of supernatural entities to do the magician’s bidding). Witchcraft was arguably a third kind of magic, if witchcraft is understood as an innate ability of a person to bring about evil supernaturally. Certainly, witchcraft does not fit easily into the usual classifications of magic, although it is clearly a kind of magic in some sense. Within natural and ritual magic it is possible to make further classifications based on the uses to which magic was put; for instance, divination is usually considered a category of natural magic because it made use of natural things to reveal the future. Astrology, in turn, would be a subcategory of divination because it made use of the stars to foretell the future. It is therefore somewhat problematic that the exhibition separates divination from astrology and, moreover, conflates astrology and astronomy. Although the two words were used interchangeably before the late seventeenth century, when scientific astronomy finally became distinct from the practical application of knowledge of the stars to prognostication, ‘astrology’ is now the universally accepted term for the study of the stars as a branch of magic. The exhibition’s conflation of ‘potions’ with alchemy is likewise somewhat problematic. The making of magical potions was often classed as a form of witchcraft because it was an activity of folk magicians and might be linked to the use of animal or human body parts in necromancy. Alchemy, by contrast, was one of the most learned and exalted magical activities there was; the search for the Philosophers’ Stone and, with it, spiritual transformation. The fact that both alchemists and witches made use of fire to heat their ‘experiments’ is virtually the only connection between them, and alchemists would have been at pains to differentiate themselves from potion-brewing witches. Herbology (or herbalism) was a real-world practice that was a form of natural magic closely allied to medicine, although it is unlikely that many herbalists would have considered themselves magicians in any sense. This was also true of astrologers and alchemists, owing to a Christian tradition that stigmatised magic and led to practitioners of magical arts justifying their work by claiming it was something other than magic. Rowling’s version of ‘charms’ bears a remote relation to real-world practices. Charmers usually claimed to be able to heal by saying or singing (hence our word ‘enchant’) certain magical words, or by writing those same words and placing the inscription in an appropriate place. Charms, in Rowling’s world, are spells that change the properties of objects (such as allowing a broomstick to fly). ‘Defence against the Dark Arts’, although the term was invented by J. K. Rowling, was indeed something that existed in medieval and early modern Europe. Historians call it ‘counter-magic’, techniques to undo the effects of harmful magic or witchcraft that were magical in their own right. In my most recent book I wrote about John Dee’s counter-magic performed to defend Elizabeth I from malicious magic. Furthermore, as the Rev. Richard Coles points out in the official companion book to the exhibition, the Christian church’s tradition of exorcism was (and is) a form of counter-magic. However, as with alchemists, astrologers and herbalists, practitioners of counter-magic often denied that they were magicians. Christian exorcists have never accepted that what they are doing is a form of officially approved magic. ‘Care of Magical Creatures’ is not, of course, something that has ever existed in the real world (because magical creatures do not actually exist), but belief in magical creatures was quite real, and can be found throughout the medieval bestiary tradition. The bestiary tradition is closely tied to natural magic, because it was believed (as it still is in contemporary Chinese medicine) that parts of the bodies of certain animals had intrinsic magical qualities. Rowling’s magical world conflates these traditions of natural magic with belief in various kinds of fairies, when in reality it was ritual magicians who called on the aid of fairies in their magical operations. Thus the distinction between natural and ritual magic, essential to understanding the historical reality of magic in pre-modern Europe, is almost completely lost in this exhibition. The magic of J. K. Rowling’s fictional world differs significantly from real-world beliefs in magic in pre-modern Europe because she makes magic an innate capacity of certain people. Generally speaking, the only people in pre-modern Europe believed to have innate supernatural capacities were witches, and their supernatural ability was exclusively to cause harm. All other magical practitioners acquired their ability through knowledge, skill or the assistance of powerful supernatural beings. Natural magic exists in Rowling’s world, but ritual magic, the invocation of entities to help a magician, is absent. There are no angels and no demons. Lord Voldemort is evil not because he is in league with evil supernatural forces but because he is himself evil and uses his own intrinsic supernatural power to evil ends. Perhaps the closest we come to ritual magic in the Harry Potter books is the idea of a Horcrux, which is created by killing people. There were indeed forms of ritual magic that required the death of a human being (people were accused of doing this during France’s ‘affair of the poisons’ in the 1670s), but as a sacrifice to demons rather than as an act that magically empowers in its own right – which is not how a Horcrux works in the novels. 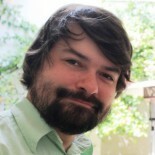 It is obvious why Rowling left demons out of the Harry Potter universe (it freed her from grappling with the contentious relationship between magic and a Christian cosmology), but without demons the fictional magic of the Harry Potter universe is a far cry from the magic actually practised in medieval and early modern Europe. A number of objects in the exhibition are on loan from the Museum of Witchcraft and Magic in Boscastle, Cornwall, whose collection mingles items associated with folk magic with artefacts from the twentieth-century revival of witchcraft as a pagan fertility religion. The Museum of Witchcraft itself played a key role in the re-fashioning of witchcraft as a religion, and its collections provide a valuable record of that process. The relationship between pre-Second World War folk magic and contemporary paganism is highly contested both within and without the pagan community, something that it is probably not possible for this exhibition to address. It is perhaps these objects, such as Olga Hunt’s broomstick and antler tools used by modern occult herbalists, that truly bridge the gap between fictional and real magic, because contemporary magic can be interpreted either as the continuation of an authentic tradition or the enactment of fantasy. Yet as soon as we hear ourselves applying concepts such as ‘authenticity’ to magic we should pause to reflect that magic, by its very nature, subverts such notions. No magic is authentic and all magic is authentic; magic is real and magic is fictional. This exhibition is important because it reminds us of that paradox. Harry Potter: A History of Magic is an ambitious, expertly curated and fascinating exhibition that draws attention to the long-neglected field of the history of magic. It is perhaps to be expected that an exhibition about something as mercurial and elusive as magic would be contentious; perhaps it needs to be. There can be no escaping from the fact that the literary imagination of J. K. Rowling has made its mark, perhaps forever, on the way we perceive the history of magic, and in this sense the British Library’s exhibition is simply being honest by linking the name of the most famous fictional wizard with artefacts associated with real-world traditions of magic. But it is also important to remember that these objects were made and used in a world before the Harry Potter books, and in a world where the conceptual classifications of magic at Hogwarts School of Witchcraft and Wizardry did not apply. 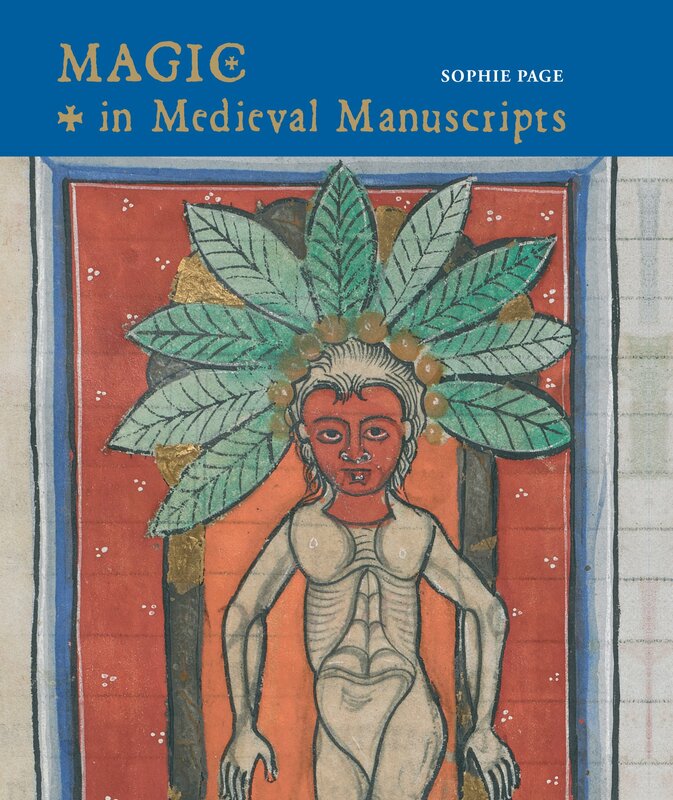 An exciting development accompanying the exhibition is the British Library’s re-issue of Sophie Page’s Magic in Medieval Manuscripts, originally published in 2004 and an excellent guide to the magical manuscripts of the British Library. Manuscripts of ritual magic are somewhat scarce in the exhibition; one of the few that features is a seventeenth-century copy of The Key of Knowledge that once belonged to Gabriel Harvey. My favourite object in the whole exhibition was the book of talismans in Old Ge’ez belonging to an eighteenth-century Ethiopian exorcist of Debtera – partly because of my interest in the history of exorcism, but also because this provided a window into a world of learned Christian ritual magic alien to me and to most scholars of magic in the west. I should be keen to find out more about Ethiopian magical traditions. This entry was posted on November 24, 2017 by jacobite.